EHCDO's 7th Annual General Meeting will take place on 18th of March until 19th of March at Rotterdam, at Hotel Thon (Willemsplein 1, 3016 DN Rotterdam, The Netherlands). The AEPC Psychosocial working group's biannual meeting will be held on the 16-18th of March also in Rotterdam, so we will be facilitated to attended both meetings! The program of the AEPC Psychosocial working group's meeting you can find here. 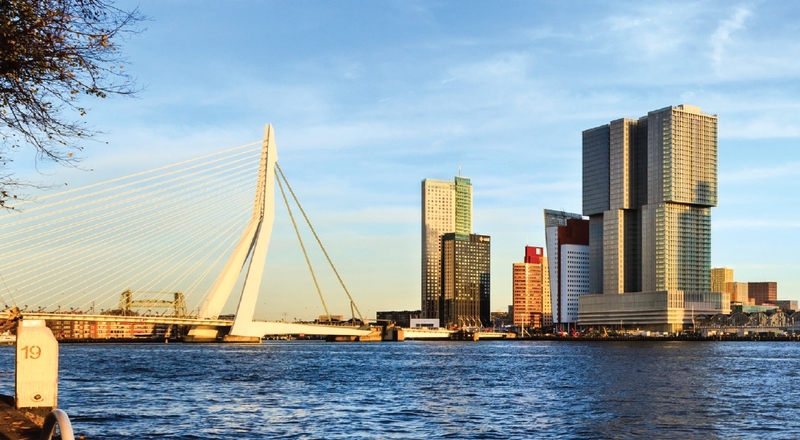 The easiest way to get to Rotterdam is to fly to AMSTERDAM SCHIPHOL airport and from there to catch the train to the city of ROTTERDAM. The fast train takes about 20 minutes and the regular one around 40 minutes. You can also fly straight to ROTTERDAM-THE HAGUE airport and take a local bus from there (around 20 minutes to city). Another option is also to fly to BRUSSELS Zaventem (Belgium) if you find affordable flights or better connections. From Brussels you can take train to Rotterdam which takes around 1,5 hours. We are happy to tell you, that ECHDO was able to negotiate a reduced price for the Hotel Thon where the AGM will be held. The price for a single room is 89 euros/night and for a double room 99 euros/night. Rates (excluding city-tax 4,5 %) include breakfast. The price is valid from Wednesday 16th of March until the 20th of March. Please mention ECHDO AGM in the reservation. You also need to mention name, arrival and departure date and if the reservation is made for 1 or 2 persons. The hotel needs to be given the credit card number in order to guarantee the reservation. Therefore please fill up the attached document below and enclose it to your reservation. Please note that the hotel reservation needs to be done by and not later than the 3rd of February – prices are valid only until that date! There is also limited amount of the rooms so act fast to ensure your room with the special price. For other accommodation options you can consult www.trivago.com or similar websites. Attached you can find programs for both meetings (AEPC psycho-social working group and ECHDO). Also you can find the registration forms for both meetings. It is also possible to register with the form below for ECHDO’s AGM. We kindly ask you to finalise the registration by the end of February. Please note that the booking to Hotel Thon needs to be done until the 3rd of February. There are currently three open seats on the ECHDO board. Please contact us if you are interested to join the board. Please note that currently ECHDO does not have the possibility to pay travelling costs or other expenses, so the representatives’ own organisation or individuals need to fund travelling and lodging expenses to attend meetings. Also this year we have availabilities for AGM bursaries. If the representative of your organization would like to attend the AGM, but cannot afford the costs, please send us your application, and the board will evaluate your request. Given our current budget, we can allocate a total of 1000 euros for bursaries (5 bursaries of 200 euros each). If you would like to apply for a bursary, proof of economic adversity would be appreciated. The board will finalise decision on bursary applications by the 15th of February 2016.